Night Shift uses your iPhone clock and geolocation to determine when it’s sunset in your area. Then it automatically shifts the colors in your display to fit the current time of the day. Such actions are supposed to decrease the negative impact of display to your eyes. Another intriguing feature is Secure Notes. It allows users to protect their important notes, such as passwords or some financial details, with a fingerprint or usual password. There’s also a useful update to CarPlay. The Nearby feature in Maps lets you find all the necessary information you may need when you’re on the road. For example, you can search for a parking places, restaurants, gas stations and many other things. 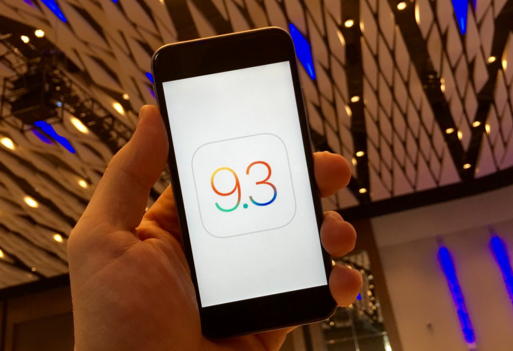 The seventh iOS 9.3 beta is now available for registered developers and public beta testers. The size of the download is 66.1MB.